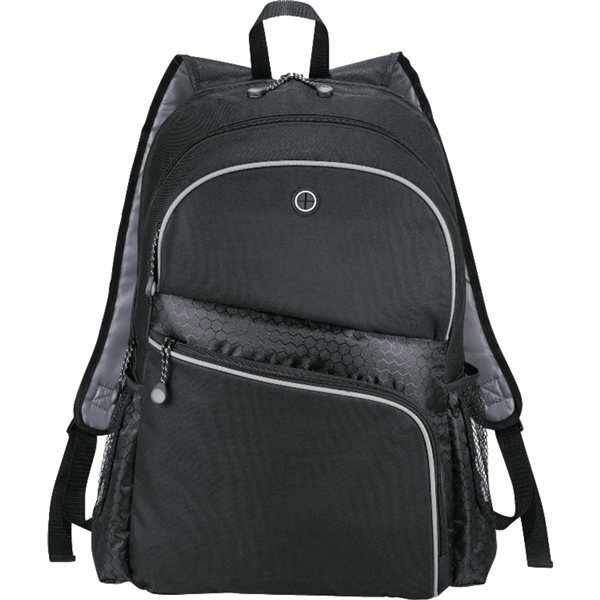 The Hive TSA 17" Computer Backpack is a checkpoint-friendly backpack holds most laptops up to 17 inches. Dedicated laptop compartment unzips flat to make it easier to go through airport security. Zippered main compartment includes padded compartment for your iPad® or tablet and is spacious enough for your padfolio, books and folders. Bottom zippered pocket includes deluxe organizer for your pens and business cards while top zippered pocket can fit your iPhone® cables and mobile charger. Material: 600d PolyCanvas with Ripstop Accents. I ordered this product a few years ago. It was terrific. It has held up very well. High quality, great benefits, excellent imprint and color - all printed nicely and straight. We are very happy with this purchase. Our clients have nothing but good things to say about them. All products were great! Turned out excellent!